Review of Metz Mecablitz 15 MS-1 macro flash in ring-light shape, testing, evaluating, and comparing with other ring lights (for Canon and Nikon). A ring-light is one single unit, a lighting tube (or series of individual but supposedly continuous LED units) in a circle. This circular array of lights is put around the lens. Although ring-lights are often used for macro photography, what is commonly called a macro flash unit is (at least in theory) not a continuous light: a macro flash system is (normally) a set of totally separate individual small lights. Yes, these do fit onto a “ring” because a camera lens is round. But a traditional macro flash is two, three, or four separate lights. Although you normally clip them into a ring around the lens, you can also hold them in your hand. In fact we hold at least one or two behind the object we are photographing to provide back lighting. Most ring-lights are intended to be used physically on the lens. 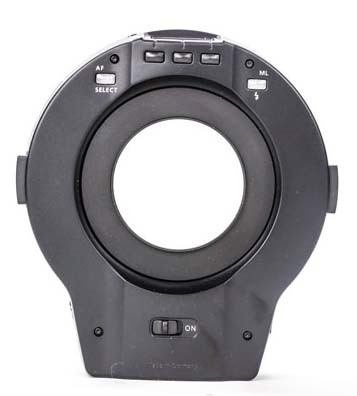 Indeed the Canon ring-light would be tough to use off the lens (due to the thick coiled connecting cable which is not long enough to encourage you to use the light off the lens front). There are exceptions to every rule. I often use my ring lights off the camera (on other brands where the cable length is not a restricting feature). The ideal ring light would have a cable at least one meter long (or be wireless). Another exception is that some ring-shaped lights (which thus appear to be “a ring light”) are really two separate lights inserted in an overall ring structure. 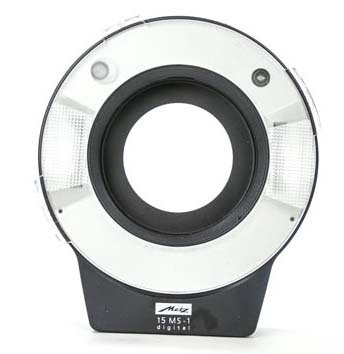 Bob Aikins points out that the Metz Mecablitz 15 MS-1 Digital Macro Slave is thus technically not a ring light, but is a macro flash. For the Nikon we have both the Nikon R1C1 macro flash and a ring-light. Whereas Canon offers both a 2-light macro flash system, and a ring-light, Nikon offers a multiple-light macro flash, but zero ring-light (so our ring-light is a brand other than Nikon). The macro flash we have from Nikon is the Nikon SS-MS1 close-up Speedlight Kit Case (with three individual lights). We have now ordered one more Wireless Remote Speedlight SB-R200 unit (to have a total of four units). When you Google Nikon macro light, you usually get the Nikon R1C1 package. Macro flash with individual positionable light units is easier to get totally different results (including backlighting: simply take one of the flash units off the round holding unit and hold it behind the subject). Macro flash may give more light (and definitely better for side lighting and back lighting). But using a ring flash on a complex flower can produce awesome results. Some ring-shaped macro flashes simply have two light sources inside, and the light (hopefully) more or less circulates around the entire ring. Actually the Metz Mecablitz 15 MS-1 digital Kit is this kind of light. The cheap Chinese versions have a ring of evenly spaced LED lights. One hopes that the housing of the ring will blur each enough to create the effect of a ring light. Macro flash is easier to get totally different results (including backlighting: simply take one of the flash units off the connector and hold it behind the subject). There are at least three brands of large ring lights used primarily for fashion photography. We do portraits of animals, not people, but a large ring light should do just as well to do a head-and-shoulders portrait of a crocodile or jaguar. Yes, we go into crocodile pens and get within 2 meters of the crocs to photograph the pattern of their dentition to help identify which crocodile species the 8th century sculptors at Copan Ruinas Honduras are using as their model for stelae portraying the king. And, off-lens (off-camera) as well as on-camera. Then you can decide which style you (or your client) like the best. Most camera equipment reviews on the Internet vary between content farms and dubious pseudo-reviews (which simply want to push you to buy from their money sponsor). 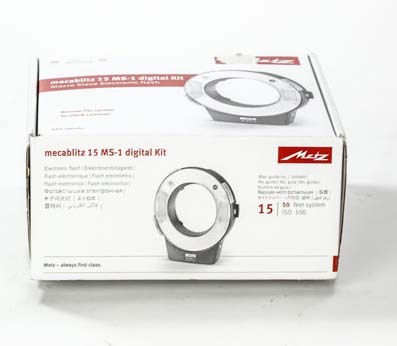 We actually have a Metz Mecablitz 15 MS-1 digital Kit ring-light. We actually use it in professional photography (both in the studio and out on-location). 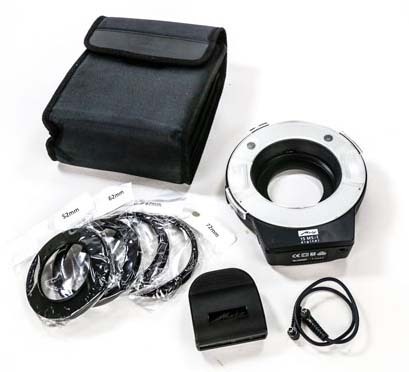 Plus, we got the Metz Mecablitz 15 MS-1 digital Kit ring-light because the cheap, low-bid Chinese brand we had did not provide enough light power. The main advantage of the Metz macro flash is its ability to be fired wirelessly. You are not stuck with the awkward cord of the Canon ring flash. The Metz is ring-flash shape, but as already pointed out, it is really two separate lights in a ring-shaped concept. This Metz flash is significantly more powerful than the cheap Chinese model we have. Here is photographer Sofia Monzon using the Metz Mecablitz 15 MS-1 as backlighting. She is using the on-lens Canon Ring Flash, Macro Ring Lite MR-14EX on her lens. 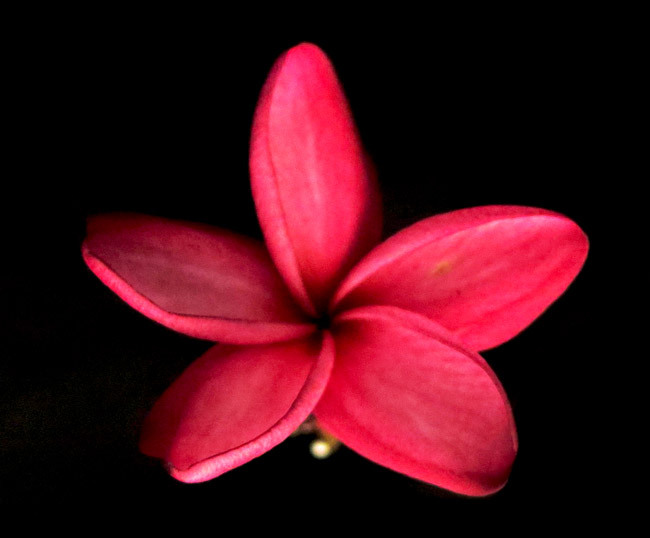 Here is the result of using the Metz mecablits ring flash, as you can see a very professional image of the Plumeria Rubra (Flor de Mayo). Nikon offered their Nikon SL-1 for a simple Nikon Coolpix 4500, but I have not seen a Nikon ring-flash since then. Be wary when a ring light says “events, portrait, family” (a claim by Sigma). Most ring lights of this class are not powerful enough for wide photography, and hardly for “sports & action” (again claimed by Sigma. I would prefer to have a serious sized ring flash for these. Cheap; supposedly turns your normal flash into a ring flash. Low-end, two separate lights trying to be a ring-light. Again, theoretical headquarters in Hong Kong but would would estimate most of the components are made in China. Is a ring-light despite the unexpected inappropriate name Flashgun. Very weak, as in vary little light output (even at full throttle). Endless brand names; probably mostly just rebranded from a basic entry level Made in China clone. If it has a ring of individual LED lights, normally is a cheap Chinese model. Very expensive for a Chinese system. Even if headquarters are in Hong Kong, most likely either the factory or components from China. Pro: really wide range of attachment ring sizes. They do not exhibit at Photokina. Sigma EM-140 DG Macro Ring Flash. Thick (hence rigid) cable, so can’t use “off camera” easily. 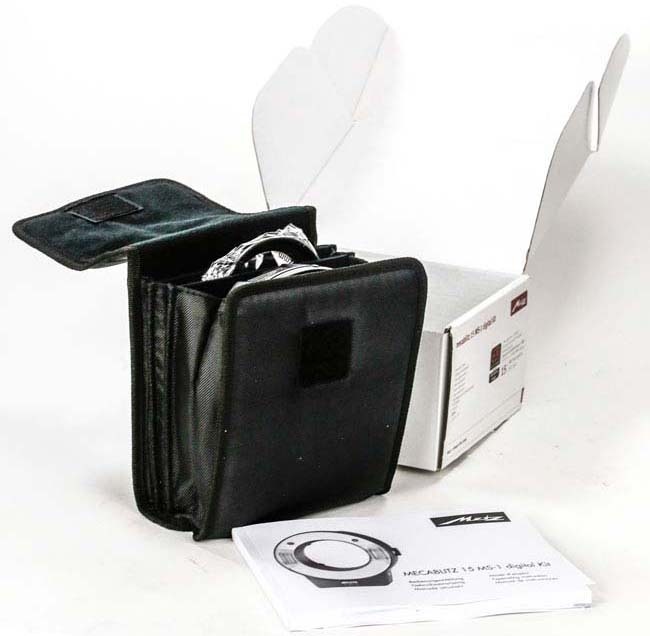 Only provides 2 lens ring sizes (you have to pay for other diameter sizes). Wiring looks weak compared with Sigma (but Sigma is so thick it would be hard to flex). Novoflex offers good equipment, plus the offer diverse lighting options: individual macro lights, ring flash, and a flat panel. But until we have these to test, can’t know if t hey are better than the Canon or Sigma or other systems. Results vary from beautiful to spectacular, But no attachment rings whatsoever. Costs a whopping $549.99. The padding on the soft pouch shred totally and the pouch offers zero protection to any surface of the light when inside the pouch. Metz Mecablitz 15 MS-1, a dual macro inside a ring concept. Wireless (a great asset). Comes with all the lens attachment rings at no extra cost. This arrived this week, so will have results shortly. Need to have one to evaluate for commenting. Fits around a lens informally, so you do not need to screw away your threads on your lens front or on your filter. Has a diverse range of power, from full zap down to 1/32nd. This is a serious studio ring light, as in for professional portraiture, and photographing models. USA English is rather informal on how to spell ring-light. Here at FLAAR we have been doing macro photography of Neotropical flowers of Guatemala for decades. In the last several years we have been concentrating on using both ring lights and macro light units, on both Nikon and Canon cameras. Since we are not a commercial company and since we do not accept kickbacks from camera dealers, we receive no income from our evaluations. So, unlike a few questionable web sites, we clearly state when a product is dubious. Why have these questionable sites not said how pathetic are some Nikon kit lenses made in Thailand, and the infamous several-years-old Canon 100-400 zoom lens (a piece of junk that Canon should have admitted it made engineering errors). Plus, we actually use the lenses and flash units, out on location (in Central America). So we are not selling camera equipment, FLAAR had offices at a community college for years, then a visiting research professor at two universities (all in digital imaging technology), so our interest is providing general education (not sleazy saying every product is great, and by the way, buy it from my sponsors). We grow plants in our Maya ethnobotanical research garden. 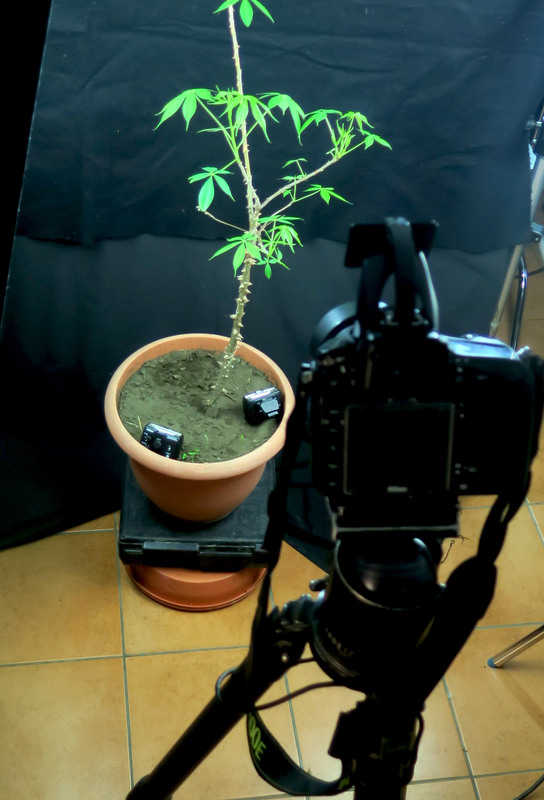 We are using Westcott fluorescent lighting for the baby tree but have added two Nikon SB-R200 macro flash units at the base of the tree. 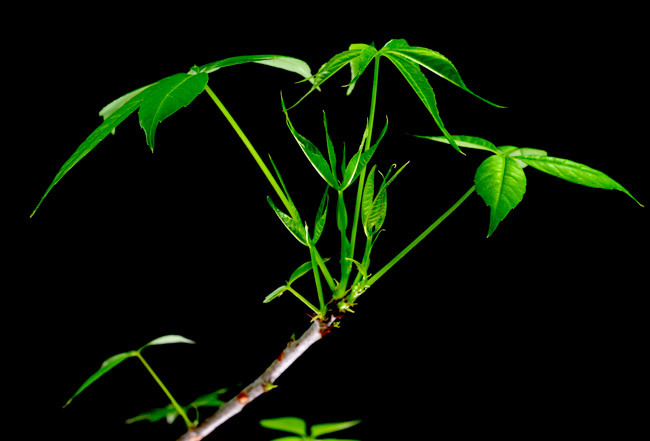 Here is the resulting photograph, a Ceiba aesculifolia tree, from seeds from the Rio Motagua area of Guatemala. Since all the Nikon SB-R200 lights (of the Nikon R1C1 or R1 package) do not need cables, these are very handy to use out on location. Each kind of lighting has pros and cons, so we have the entire Nikon R1C1 system (enhanced to a total of four separate SB-R200 light units). Plus the Metz Mecablitz 15 MS-1 macro flash, and we look forward to testing the Rosco or Alien Bees or Elinchrom ring flash shortly. Most recently updated early May, 2015 after using the Metz Mecablitz 15 MS-1 macro flash to photograph Plumeria rubra flowers in the desert areas of Guatemala, Central America. Then we tested Nikon SB-R200 macro flash units while photographing Ceiba aesculifolia leaves. Also updated Feb. 9, 2015, with a list of other brands and models. First posted Feb. 5, 2015. We had hoped to show results as soon as we take the Metz Mecablitz 15 MS-1 digital Kit ring-light out this weekend, on the slopes of the volcano Acatenango, overlooking Antigua, Guatemala. Unfortunately the volcano Fuego (Volcano named FIRE), erupted the day we were on the neighboring volcano Acatenango, and all the falling ash caused us to go back to our vehicles early. So we will test the Metz Mecablitz in our studio shortly. The volcano which erupted was just a few miles from the twin-peaked volcano where we were testing other macro and ring lights, photographing the incredible flowers of the canak tree (manitas tree), which in Guatemala grows only high on the slopes of volcanos or at least at high altitudes and near volcanos, such as far into the mountains overlooking Lake Atitlan.